Do you think the Patriots would have won, or the Falcons would have come as far as they did, without working as a team? Super Bowl MVP Tom Brady once said: “My job is to play quarterback, and I’m going to do that the best way I know how, because I owe that to my teammates.” This philosophy – which contributed to the Patriots’ success – can contribute to the success of your own company. Each person involved with customer touch points in your company has a role to play in the larger success of the group. To inspire your team to think like one, it helps to highlight real-life examples. During your next sales meeting, consider talking about other companies or groups that work successfully as a team and show how everyone wins as a result. If you can convince your employees that team-based selling is likely to result in more money in everyone’s pockets, everyone will be more likely to get on board. For team-based selling to work in the long run, though, everyone must do their part, including your inside sales, service and marketing teams. You must also open the lines of communication between your teams, ideally with an inclusive and well-designed CRM system. 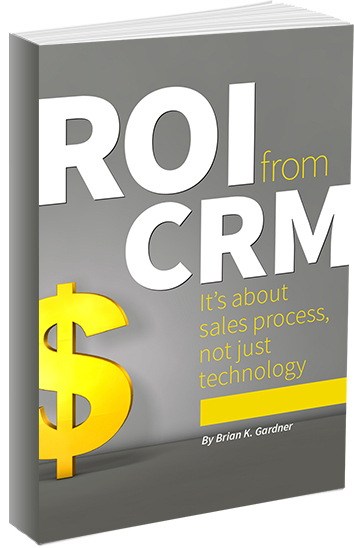 For example, if your outside sales rep sees that your inside sales rep or service rep has added information to your CRM system that will give them an edge during their next sales call, they’ll feel like they’re getting something back from the rest of the team. I discussed team-based selling, sales training and sales leadership during Tuesday’s webinar, which you can watch on-demand from MDM here.